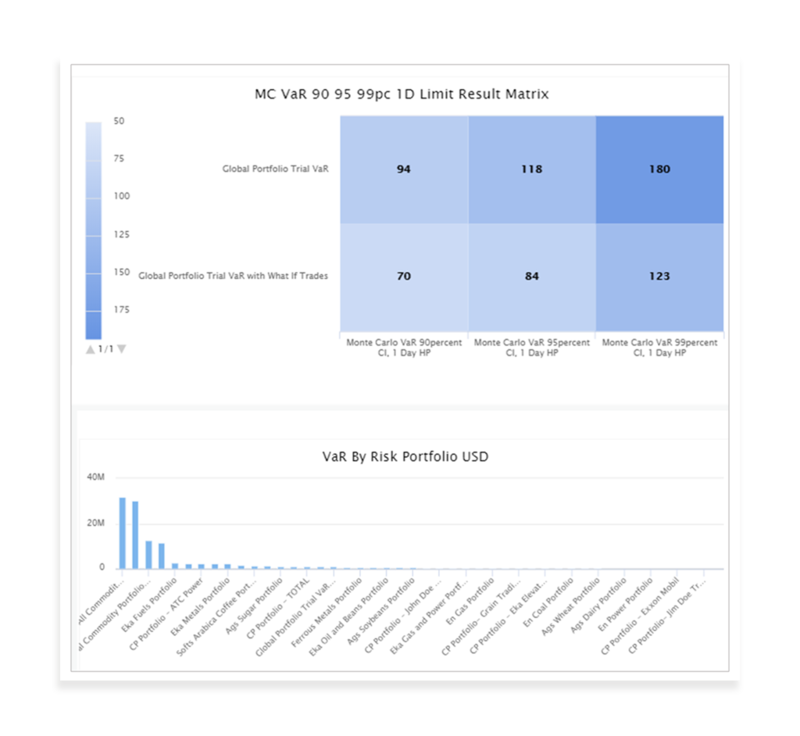 Define risk limit policies against position, P&L, and VaR, with alert notifications for user groups. Track risk and trade performance in real time. 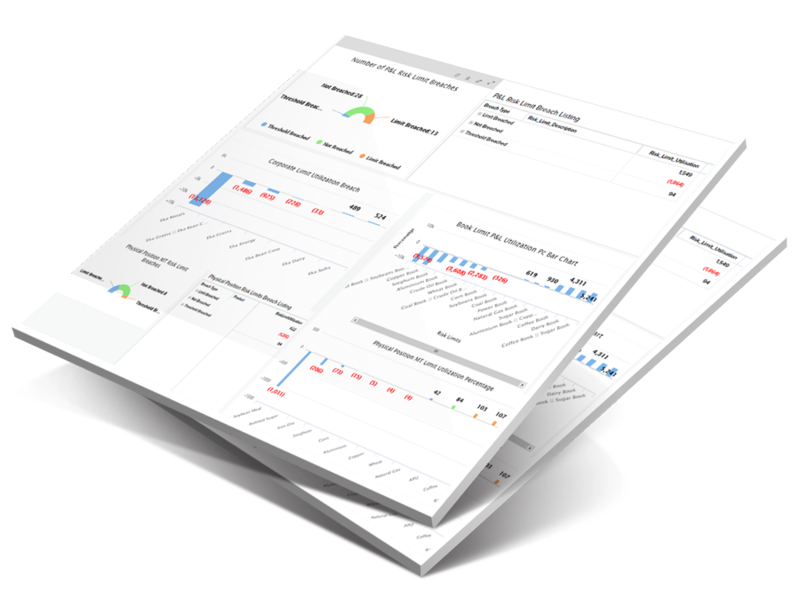 Track global risk across the organization by evaluating data from disparate systems – including CTRM/ETRM, ERP, spreadsheets, market feeds, and more. 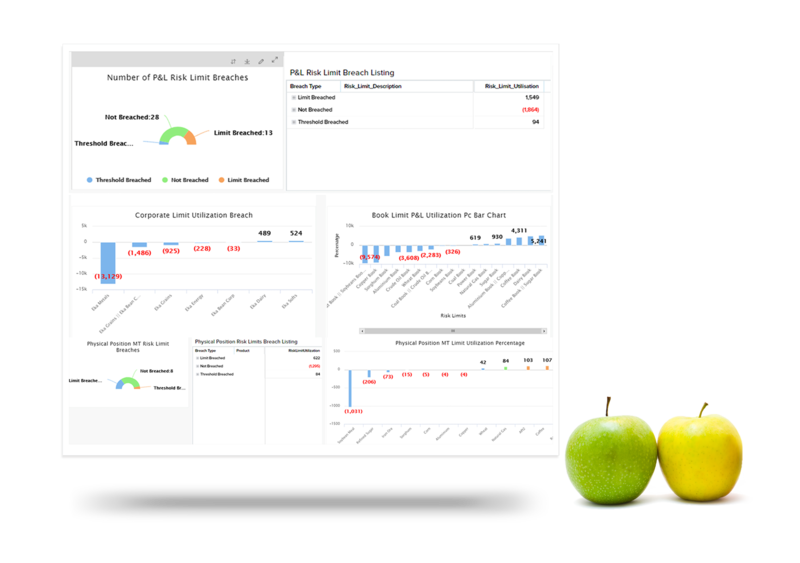 Create risk limit policies against position, P&L, and VaR to alert user groups in the event of a breach. 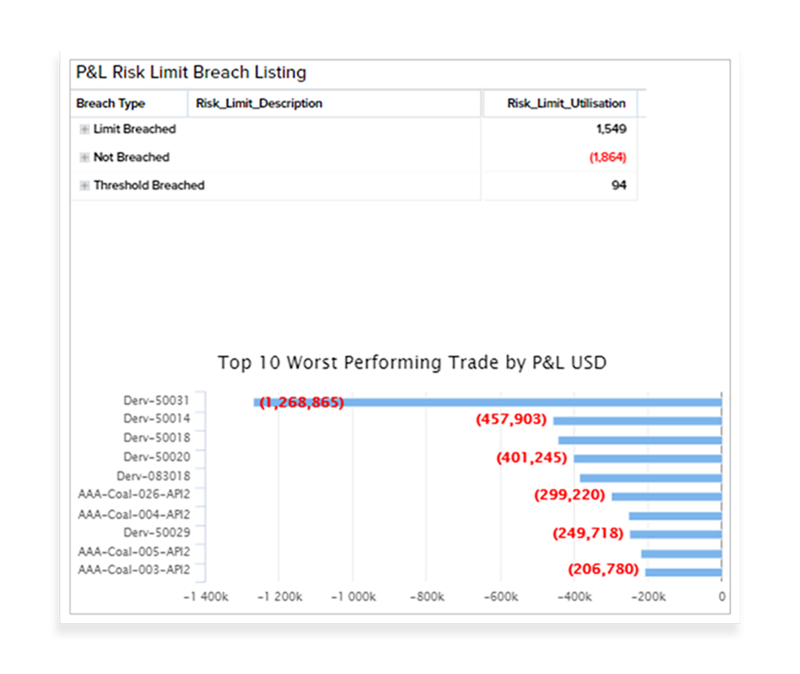 Drill down into your data and analyze the impact of breached trades on P&L. Track worst performing trades by P&L.